Guitar pedals can serve two conflicting purposes: they can liberate your playing with their sense of experimentation or can act as a crutch to lean on. That’s why players are always changing their pedals around, chasing that new life to bring to their tone. 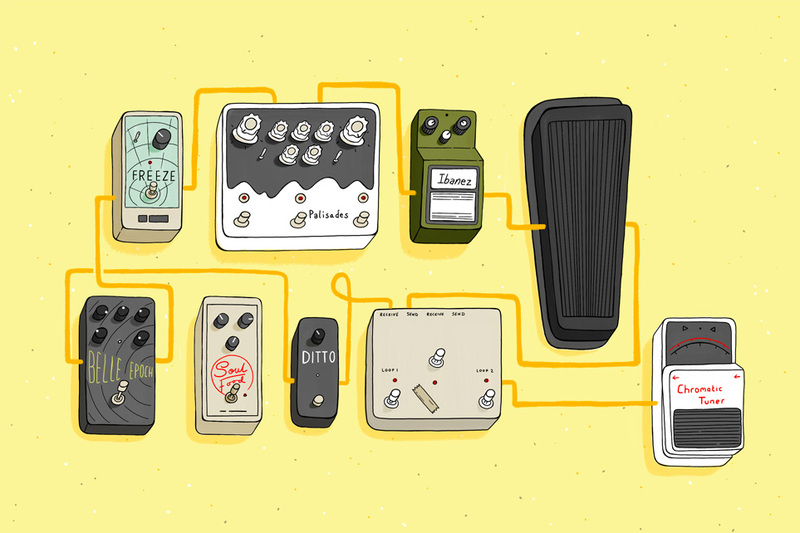 We’ve decided to talk to some of our favorite artists about striking the balance between predictability and inspiration, and then convey that inspiration with detailed illustrations of their pedalboards. 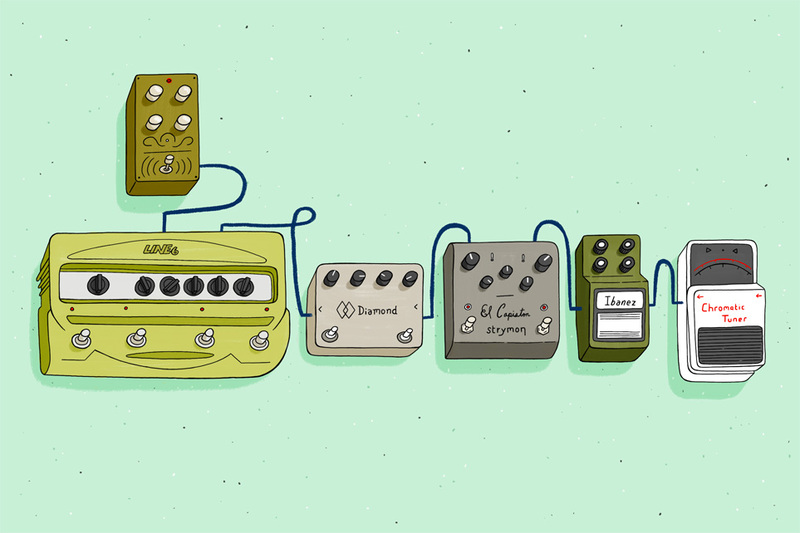 For our first post in this illustrated series, we spoke with veteran guitarists Meg Duffy, Phil Cook, and Steve Gunn about tracking down their gear and getting the most out of their pedals. 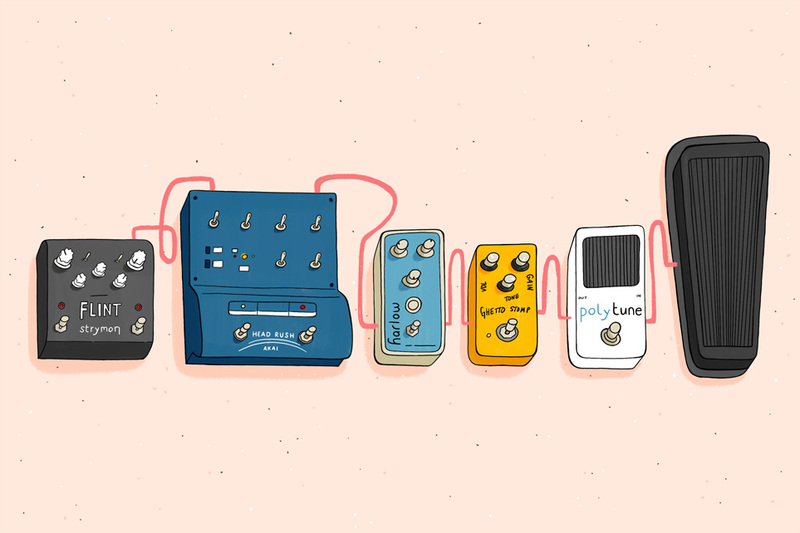 With an endless number of effects options out there, these prominent indie and folk rockers told us how they fine tune their pedalboards to maximize inspiration. Meg Duffy is a multi–instrumentalist from Upstate New York. 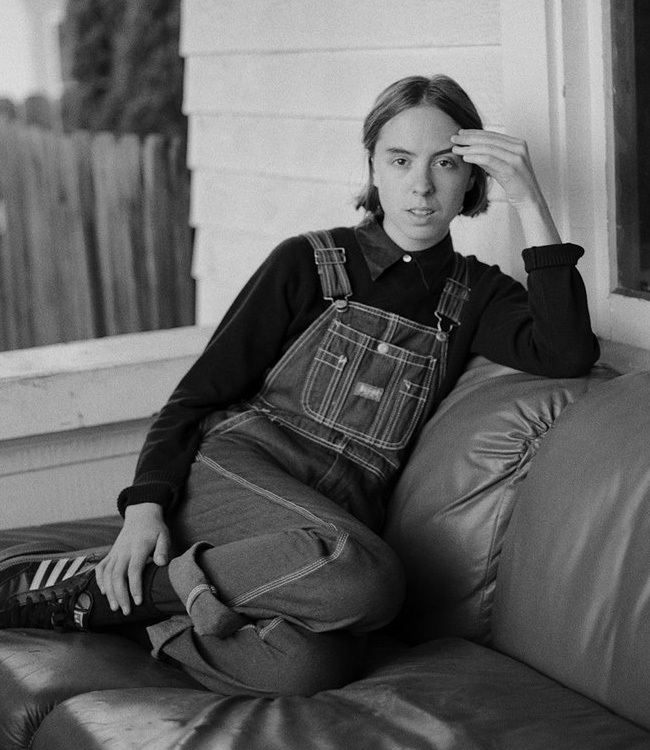 She performs solo under the moniker Hand Habits and recently released her debut LP, Wildly Idle on Woodsist. Meg also plays guitar in Kevin Morby’s band and Seattle’s Mega Bog. Her guitar playing is fluid and effortless. Which pedal in your setup do you rely on the most? Besides my tuner, definitely my Ibanez Tube Screamer. It's the model with a toggle switch that lets you decide which era TS, and I always keep it on the TS9. Ah and the DL4, tough to say! There's something about the overtones and sustain I can get with that pedal that I'm really attached to. I know it's such a classic dad rock pedal, but it's one of the first I got when I started playing and I know how to control it very well. It gets those subtle screeches and growls but can also just be a nice warm boost if he volume is rolled back on my Strat. How often do you switch pedals out or add new ones? Very rarely. It takes a lot for me to want to swap something out. Of course, for session work I try to accommodate whatever sound is necessary, but for Hand Habits sets and most of the other projects I play in I have a consistent setup. The ones that get swapped the most are the Boss Tremolo and Boss Mega Distortion. I only need that double gain staging for a few blasters and can almost emulate a tremolo sound with a volume knob and some delay. How do you decide the order of your pedals? Well when I first started getting into effects loops, I Googled "effects chain order." The notion that illuminated where effects should be placed, for me, was reading, "Do you want to delay/reverb/modulate the driven signal or drive the delay/reverb/modulated effect sound." So I did a lot of trial and error and felt it made sense to delay the driven sounds and so forth. I like sustain a lot! So having the trails be reverbed feels good to me. Do any of your pedals hold a specific sentimental value or have a good story? Well, my brother gave me the TS9DX like four or five years ago. I think we traded for a flanger or something I wasn't using. And apparently the Diamond (which is my secret weapon) used to be the guitarist’s from that jam band moe. He unloaded a bunch of gear to a shop I used to frequent in upstate New York called Parkway Music. The pedal has this pitch ramp I really like to use when I'm getting feedback. I call it my "blast off mode." What combination of pedals are we hearing most often on Wildly Idle? Definitely the Strymon El Capistan. It changed the voice of the record in such a perfect way. And I actually used the Electro–Harmonix 45000 so much to create the pads and sample sounding arrangements. I love creating a sonic safe space like a blanket or cushion with that thing. It is an incredible tool if you're feeling stuck! Phil Cook is a multi–instrumentalist from North Carolina. In 2015, Phil released his second solo LP Southland Mission, a stunning collection of roots, folk and gospel music. 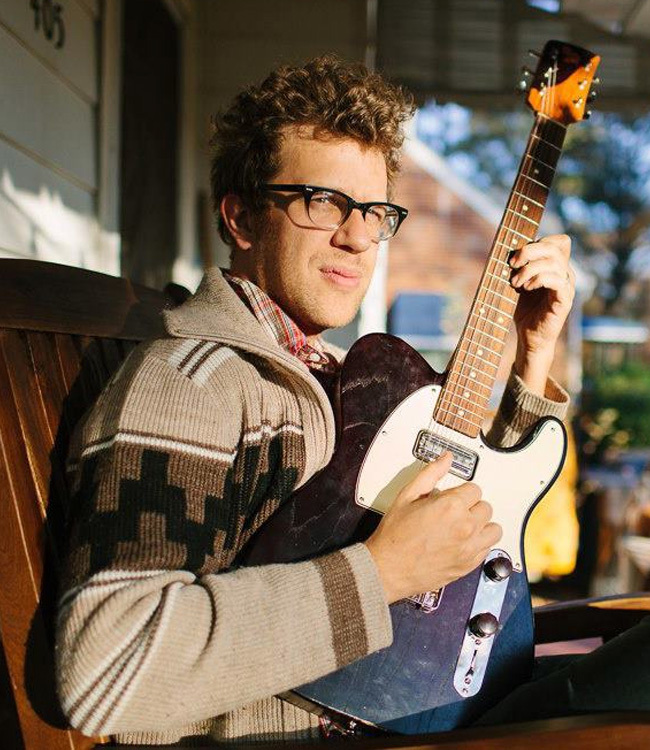 Phil is a founding member of folk rock band Megafaun and has contributed to records from Matthew E. White and Hiss Golden Messenger. His guitar playing is emotive and serene. I'd have to say the Strymon Flint is most crucial. I can quickly dial in wide array of colors in that one pedal and it's all understandably organic sounding. It feels honest. I go back and forth between bringing my bigger pedal board with the power supply and buying at least one pedal on tour to mess with. Then every year I scale back to basics and try and remind myself of what my fingers are really speaking. I've done solo tours where I'm on a plane and only bring whatever fits in my MONO bag pouch, meaning three pedals maximum. I'm prouder of smaller pedal rigs these days, which is what I sent y'all. How do you decide how to order of your pedals? I'm no expert. I often ask people that I think are better than me at pedals what they recommend and try it out. Like, where do I put a wah? That changed all the time, but now I put it before everything — even my tuner. Do any of your pedals hold specific sentimental value? Sure, I've had the Akai Headrush for 10 years. I got it because Chris Rosenau from Volcano Choir is one of my heroes, in all ways, and he does a thing with multiple amps and all the outputs on that pedal. I bought that when I was first learning electric guitar, and I'm glad it still works! Sometimes, I like playing out of two small amps and having one just carry the slap, though I'm still tweaking with that set up a lot. What are your favorite guitar tones of all time? Marc Ribot plays a guitar solo on Mule Variations by Tom Waits, a song called "Cold Water." It's some tiny amp in the corner of the room and sounds like it's not even directly microphoned. It just fills the space in a ferocious way. No frills or effects, just pushing a little old speaker to its ends. Elmore James’s "Please Find My Baby." Look, this guy played almost the same solo in most of his works, but this one speaks to me for some reason. Same blown out small amp vibes. Howard Carroll of the Dixie Hummingbirds on "Christian Automobile." Howard is a gospel legend and jammed with lots of jazz greats. Lots of quartet music from this era was just voices and a guitar, so the guitar player had to be fully together and could really escalate the fire of the performance. Pops Staples on "Low Is The Way." This is an early Staple Singers cut when they were still firmly a gospel group and touring churches mostly. Same balance: one guitar and four voices. Plus, it's a ballad and therefore more demanding on him to carry the voices. Not all the phrases are in time either. Pops had a thing that everyone stole from — notably Fogerty — that deep trem and verb. I'm guilty as well. I said above that trem and verb are my mainstays, and that's thanks to Pops! Tell me about your Ghetto Stomp pedal. Who makes it, what kind of pedal is it, and what do you use it for? Man, it's never left my board once. Been there for years now. Nick Greer makes great stuff. He's most well known for his Lightspeed Drive, but the Ghetto Stomp does this thing that I just love with P90s. It gets that low end "blat" that small Valco amps do when you crank 'em up. I keep it on all the time. I really only need a tuner, the Ghetto Stomp, and the Flint for 95% the things I do. 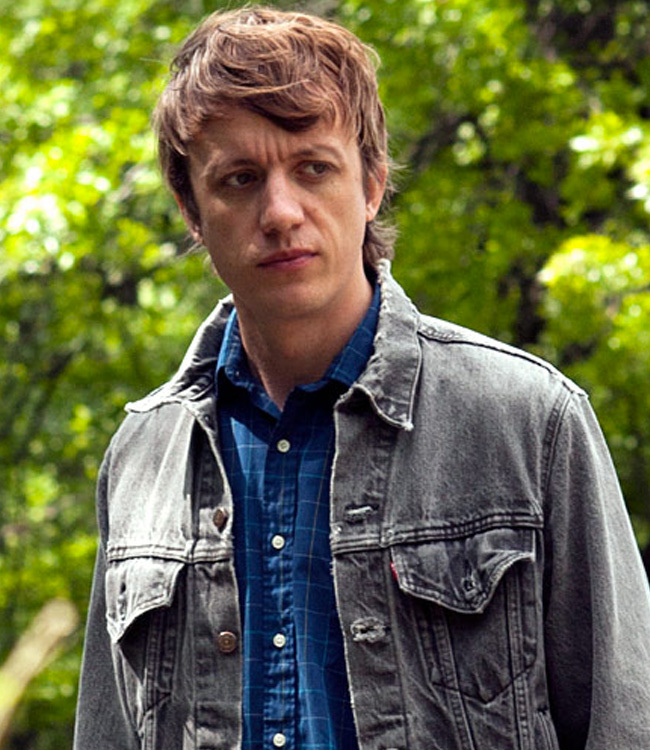 Steve Gunn is a celebrated player mixing American primitive, blues, and raga. Watching Steve play the guitar is mesmerizing. His approach is unlike anyone else. 2016 saw the release of Eyes on The Lines, his second LP for Matador. At the moment, I’ve been relying a lot on Catalinbread’s Belle Epoch tape delay. For me, it’s the closest simulation to a vintage Echoplex that I’ve found. I play both acoustic and electric guitar with this one, and it’s pairing well with a Fender Princeton or Deluxe. The Electro–Harmonix Soul Food clean boost pedal has also been a constant, and is always switched on. It’s often hard to play, sing, and stomp on pedals at the same time, so I try to rely on a simple set up without adding too many bells and whistles. For the past few years, my pedalboard has had a few different gain stages. Now I use EarthQuaker Devices’ Palisades for that mostly, mixed with delay and wah. I’ve been trying different variations of this set up for a while now, not really adding but substituting effects with an occasional wild card thrown in for more noisy textures like the EarthQuaker Devices Tentacle for fuzz wah or a robotic feedback experiment. I often get into lengthy discussions about pedals while I’m on the road with bandmates, and I’m always taking notes and advice. Like them I’m constantly checking out reverb.com for various new effects and demos. It’s great way to pass the time. I recently added a small Ditto Looper and an Electro–Harmonix Freeze Pedal for stacking tones and feedback. These are kind of a new addition, so I am currently trying to figure out how it works in my setup. It’s a different sonic option for me, especially when I play solo. How do you decide on the order of your pedals? Sometimes I’m not really sure. Then I’ve got to break down my board and reconfigure it, which can be extremely tedious. I’ve been slowly getting closer and closer to where everything should be, I think. Do any of your pedals hold a specific sentimental value? Not really. I often slowly move in and out of pedals without much attachment. I’ve been proud of myself for finding a very nicely priced Real McCoy Wah pedal that J Mascis designed this year. It’s the best wah I’ve ever played, so I’ll hold on to that one. Looks like you've got a couple of loop pedals in your rig. How do those work together? I have a Freeze pedal that holds a continuous tone, and I’ve been using a small loop pedal to to loop that and stack different tones. I’m doing this rather than trying to repeat guitar riffs or anything like that. If I loop the Freeze tone it kind of creates a very cool, subtle phase thing, which I can have control of. I haven’t used a loop pedal in a very long time, so I’m trying to use it sparingly. I’m not a fan of looping guitar lines, so I’m trying not to do anything like that. With that said, it’s a nice thing to have in the practice space when you are by yourself messing around with ideas. Options, options, options.